Who here has lost their student id at least once? Anyone? Just me? Okay, maybe this isn’t the best way to sell this thing. 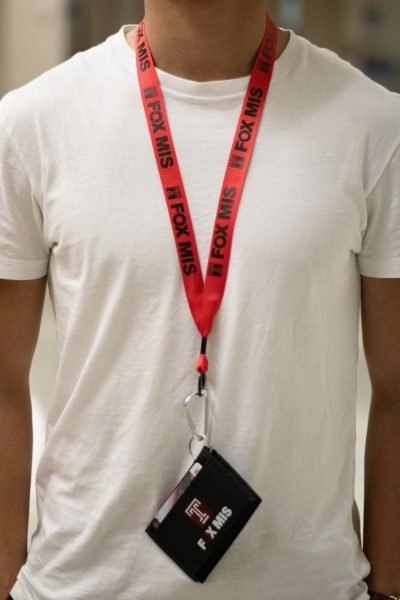 But if I’m being real with you, this lanyard doesn’t even need a description. Words wouldn’t do it enough justice. Look closely and be amazed by this fine piece of art. The beautiful shade of scarlet. The bold, black words that are short, yet powerful. The way it fits so snugly around the model’s neck. Oh wait, that’s me. Bad joke. Anyways, what in the world are you waiting for? Hopefully not for me to stop talking! Go, my fellow owl, and add this lanyard to your cart to satisfy your heart’s desires.